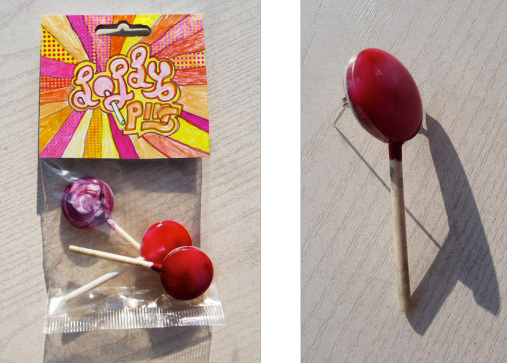 Idea: a freshly licked lollypop that sticks to your body. Best way to wear this is to pin it up on unusual places on your clothes. Or it can be a nice tongue piercing if you really want.